The Bronx civil jury is the greatest tool of wealth redistribution since the Red Army. Likely to be at least a slight exaggeration, but a great quote. Kuby had been asked to comment on the likely venue of a threatened lawsuit against Dominique Strauss-Kahn by Nafissatou Diallo, the hotel maid who accused him of assaulting her. Manhattan was another possibility, but defense attorneys, at least, seemed pretty sure that the Bronx was more likely. The report (by Reuters) claimed that the reputation of Bronx juries for generosity is "so ingrained that it has been dubbed the 'Bronx effect.'" In addition to Kuby, who is a defense attorney, Reuters also quoted Brian Waller, defense attorney and former Bronx assistant DA. "I think that Bronx jurors tend to demonstrate a distrust of outsiders, the overprivileged and the system in general," Waller said. 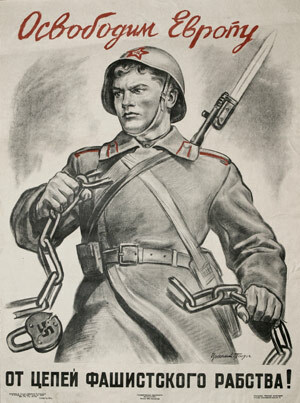 That was also true of the Red Army, of course, although mostly it had a problem with Germans. There is no question that the Red Army "redistributed" an untold amount of wealth after World War II – this article quotes a Russian official as saying that Russia has 249,000 works of art and more than one million books that were taken from Germany as war compensation, and that's just art. (Probably they didn't even want the books, really.) He also mentioned that they won't be giving any of it back. As for Bronx juries, the jury is still out. According to Reuters, a 2002 study published in the Texas Law Review found no evidence that Bronx juries handed out bigger awards than in any other New York county, and I'm sure many defense lawyers elsewhere have counties that they would like to nominate for comparison to the Red Army, too. So reports of the "Bronx effect" may or may not be exaggerated. As it turns out, Diallo did file in the Bronx, so maybe we'll get another data point for the comparison.